A supportive family can have a massive impact on a young person’s compliance and rehabilitation following a court order. To reduce the risk of reoffending and promote better outcomes for children and their families it is essential therefore that families receive the support they need to become informed and effective contributors to the justice process. In partnership with Manchester Youth Offending Service POPS deliver support for the families of juvenile offenders who have received a custodial or community sentence. By working with the young person’s family POPS aim to inform and involve them in order to assist and support the young person. Issues that affect the whole family can then be identified and work undertaken with the family to resolve these issues. This in turn contributes to better relationships between the young person and their family which can help to reduce the potential for recidivism. In addition the young person may gain insight into the effects of their behaviour on their family which can be a motivator for change. 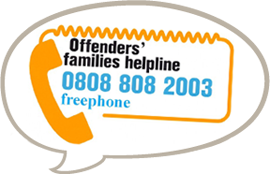 Family supporters are provided with pre-sentence information and emotional support at Manchester Magistrates Court. 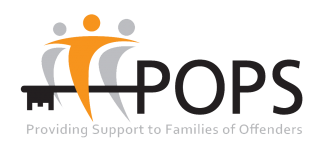 Post sentencing the POPS Family Support Worker ensures families fully understand the sentence and their potential involvement in the onward process. If an offender is made subject to a community order families are referred to second stage family support delivered by POPS staff integrated within community-based Youth Offending Teams including the Intensive Supervision and Surveillance unit at the Intensive Alternative to Custody project. Support is also available to families of young people subject to a Detention and Training Order (DTO) at HMYOI Hindley through the ‘Enhanced Offer’ resettlement project. Supporting the families of children in need. Families of young people on final warnings and DTO’s. Families of young people encompassed by the Enhanced Offer.